Next, your doctor will conduct a physical examination. This could pick up other obvious causes of sub-fertility such as excessively low body weight, anaemia, or thyroid conditions. Finally, your doctor will proceed with fertility tests. These are the common ones that will be performed. First, you can do a blood test for Luteinising Hormone (LH), 7 days before your menses is due. If the level of this hormone is high, it is very likely that you have ovulated. A more accurate way is to conduct a daily Ultrasound Scan of your Ovaries starting from day 10 of your cycle. The scan tracks the development of an egg follicle, which will increase in size with each scan, and then release an egg. A convenient way to check your ovulation at home is to use an ovulatory predictor – these can be obtained from the pharmacy. Start using the kit from day 10 of your cycle, by passing urine on the stick at midday. Ovulation occurs due to the surge in a hormone, LH, in your body, and this urine kit detects the elevated level of LH. On the day that you ovulate, your LH levels will be high, and your ovulation kit will show a positive result. This will indicate that you are fertile, and ovulation has occurred. Your doctor might choose to perform a blood test for specific hormones, FSH and Estrogen. If the levels of hormones are low, you probably have good ovarian reserve. In some cases, a special stimulatory test is performed. An FSH blood test is done on day 3 of your cycle first. Then, you will be given 5 days of medication, which will stimulate egg development. The FSH level will be re-tested again at day 10. If both FSH levels are low, then it is also likely you still have good ovarian reserve. This special test is called a HSG test, and involves injection of a dye into your uterus, during which X-ray images will be taken. The test is used to detect abnormalities within the womb, or blockages along your tubes – these may be factors that are interfering with normal fertilization or implantation of your egg, resulting in failure to fall pregnant. Chlamydia is the commonest STD in the world. However, many women who acquire this infection do not experience any symptoms from it, and thus do not get tested and diagnosed. If left untreated for a long time, Chlamydia infection can result in infertility in women. All sexually active women are advised to get a Chlamydia test – this is to ensure early diagnosis and treatment, and to prevent complications with your fertility. A chlamydia test is done as a simple vaginal or urine test – ask your doctor about it at your check up. This involves an Ultrasound Scan of your pelvis (lower abdomen). The scan is simple and painless, and allows the doctor to assess your ovaries and uterus. If performed on the correct day of your menstrual cycle, it can also be used to assess the number of eggs you have left in the ovaries. Not every test is necessary for fertility testing. Depending on your age, medical history, and sexual history, your doctor will discuss the appropriate tests that need to be performed. Hi may I know how much for the package for fertility test for women? I would like to know how much are the charges are? For consult, scan, medication (if needed). We are trying to conceive since last year. I have regular period but with painful cramps. I would like to check if there’s any blockage in my fallopian tubes or anything wrong with my ovaries etc. Please advise. Thank you! ? Sure, let me get back to you on email, and we can organize a consult for you! how much is the package for fertility test? May I know how much it costs to do a fertility test for both husband and wife? We are both 35 years old. Appreciate your advice on the type of tests and pricing preferably via email please. May I know the price for fertility test for female only? Thanks. And what are the required tests? And if they are painful. 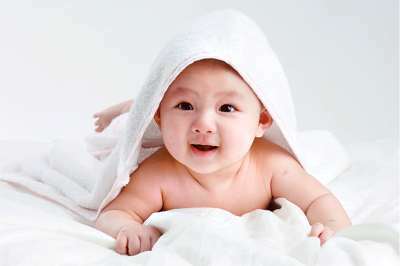 Hi, I would like to check the price for fertility test for both husband and wife. Thank you! Hi may i know the price for fertility test for husband and wife? As we have been trying for a year.And what are the test required? Is it painful? Thank you..
Dear Mastura, I have emailed you. Dear Poh, I have emailed you. Hi, may i know the price of a scan? Just mainly want to check fertility. Dear NN, I have emailed you. Dear Gerlee, I have emailed you.